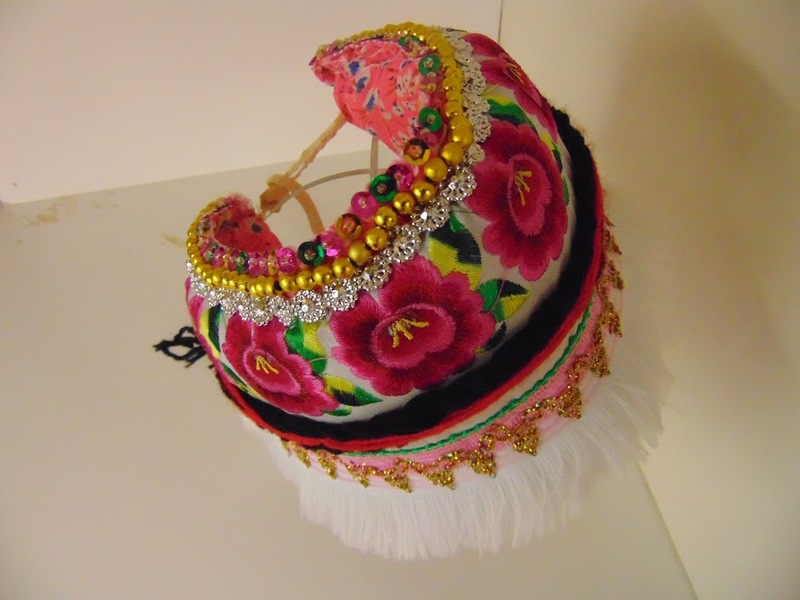 The Bai people of South China got their name (Chinese “white”) because of their costume where snow white colour dominates. 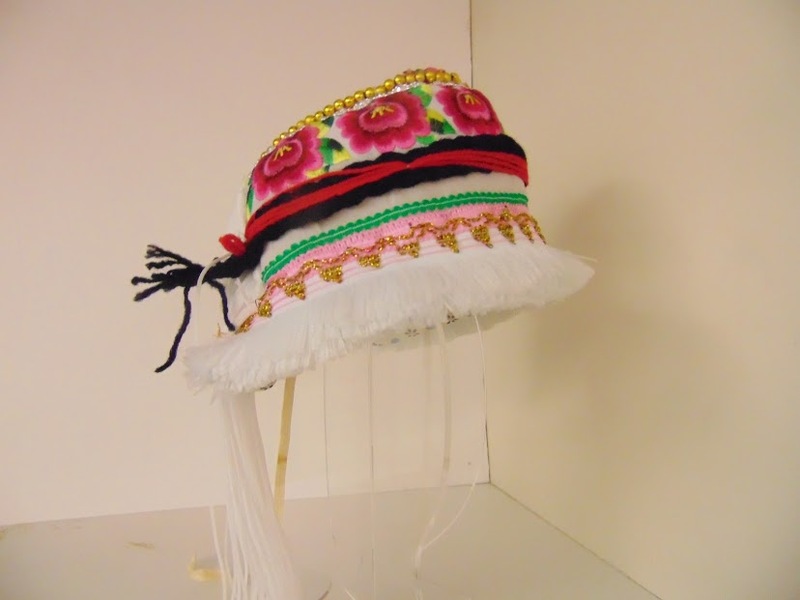 The headdress seems so colourful that is may only be worn at festivities, but Bai women do wear it every day. And certainly it will be worn when going to the market where different hill tribes are intermixing. China, Yunnan, 21st cent.